This article shares how to do a sugar detox with ten helpful tips to go sugar-free. Kick the sugar habit to improve your health and mindset. Sugar is an addictive, insidious ingredient that can hurt our health if we eat too much of it. Sometimes going completely sugar-free with a sugar detox is the fastest way to kick the habit. 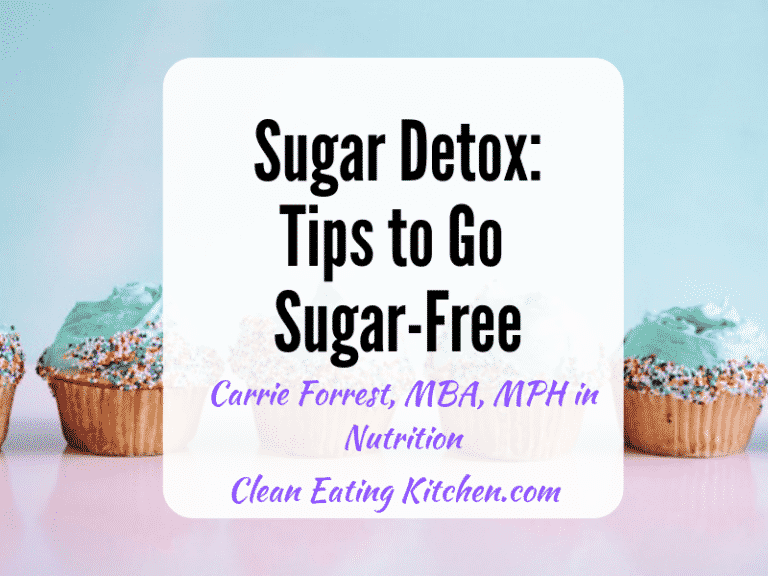 This post includes diet and lifestyle tips to help you detox from the harmful effects of sugar and set yourself up for success to stay sugar-free. Detoxing refers to using diet and lifestyle factors to support your body’s existing detoxification pathways. Your body has all the tools it needs to effectively detoxify from hormones, food waste, and external toxins, but it can become overburdened when presented with too many toxins. It’s crucial to support your natural detox pathways with lots of fiber, water, and exercise! The most important reason you need a sugar detox is because sugar is an addictive substance. A sugar detox will help you rewire your brain and break an addiction. You don’t have to be a sugar addict to want a break from sugar. If you think you’re eating too much refined sugars and want a break, doing a sugar detox can help. Read more about beating sugar addiction. It’s best to make a plan to detox from sugar. If you have a plan in place, you won’t feel as overwhelmed or confused – especially once any sugar detox symptoms start! First, set a timeframe for when you want to quit sugar and how long you want to abstain. Plan for 7-10 days when you are going to go cold turkey and eliminate any added, refined, artificial, or natural sugars. An alternative is to take incremental steps over a longer period, say 30 days, to reduce sugar from your diet. The next step is to make behavioral changes to keep you from turning to sugar. You’ll see several nutrition and lifestyle tips below that can help break your sugar cravings. It’s important to get support while you’re detoxing. Make an appointment with a health coach or a functional health practitioner to make sure you get the support you need. Or, grab a buddy who can do the detox with you. Disclaimer: I am not a licensed healthcare practitioner. Be sure to talk to your provider before making any changes to your diet or supplement routine. As you detox, your body will rewire itself to stop needing sugar. Our bodies are very adaptable–once you eliminate sugar from your diet, your body will do its best to adapt to the lack of it as quickly as possible. But, as your body releases toxins, it can make you feel worse before you feel better. Remember that you could be breaking an addiction, and may experience withdrawal symptoms. Possible symptoms include headache and intense cravings. If symptoms become serious, consult your healthcare provider immediately. If you support your body during this detox period, you can get through it more smoothly. Incorporate gentle detoxing routines like sweating it out in a sauna, drinking plenty of water, and daily movement. Combine detox and self-care by taking an Epsom salt bath, dry brushing, and doing a clay face mask. Drink enough water. Yes, this is true! Water is essential for so many reasons, but it can help you effectively detox by supporting your elimination pathways. You want to be well-hydrated enough to eliminate toxins through urination and bowel movements. If you’re not eliminating efficiently, those toxins will remain in your body and be recirculated. Aim for half your body weight in ounces, daily. Reduce your toxic load. You cannot fully detox anything if you continue to pile toxins on top of an already overburdening toxic load. Examine the daily environmental toxins you come into contact with, such as cosmetics, personal care and household products, and city air. Aim to clean up your environmental toxins so your body can save its detoxification for other things–like sugar! 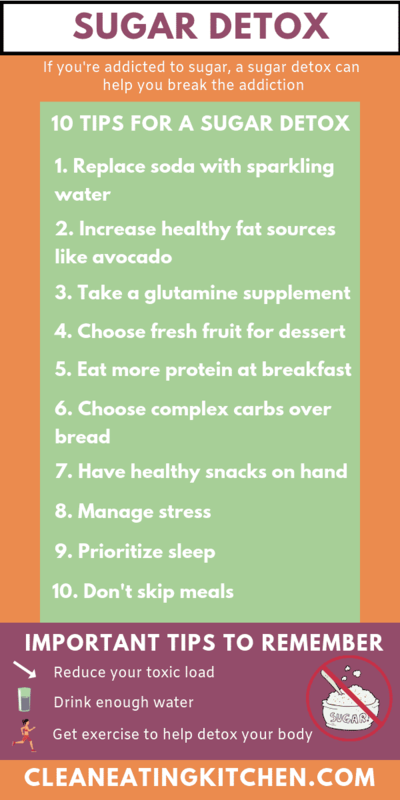 Additionally, here are ten tips to help with your sugar detox, kick the habit, and help you stay sugar-free. Replace regular soda and diet soda with sparkling water, unsweetened herbal tea, and plain water. Regular soda has anywhere from 20-48 grams of sugar per eight-ounce serving (and most cans are more than eight ounces). Diet soda isn’t innocent either, replacing sugar with artificial sweeteners that are linked to disease risk. Instead of consuming overly sweet drinks, switch to hydrating beverages like water. 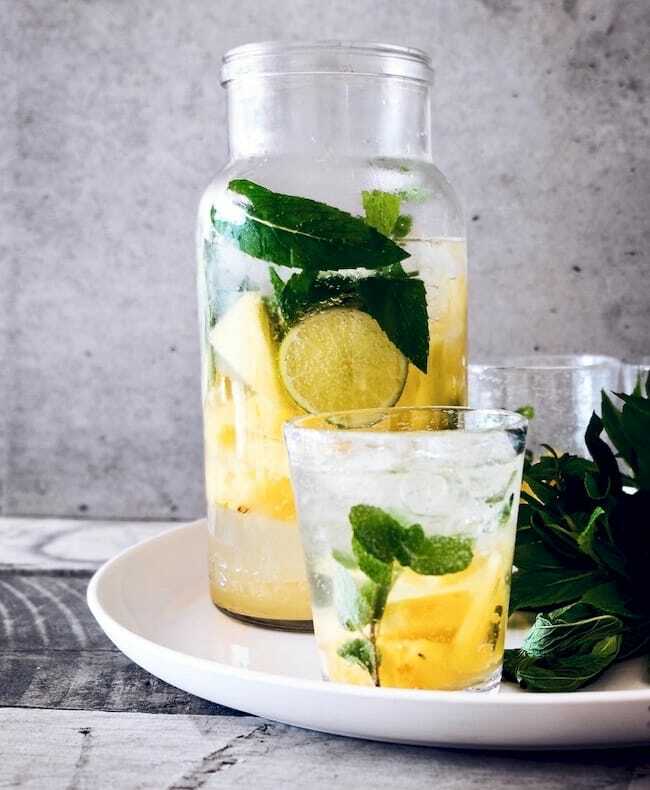 You can make water more interesting by adding lemon slices, cucumber slices, or try sparkling mineral water. 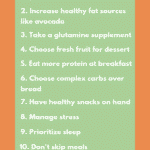 Increase healthy fat sources at meals to reduce sugar cravings. Fat is satiating and keeps your blood sugar levels stable, so you won’t crash and crave sugar again. 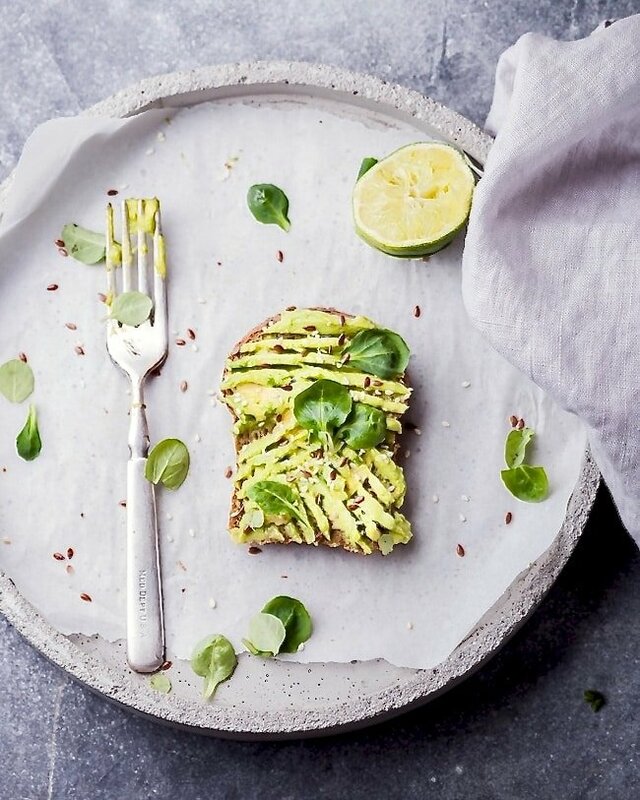 Healthy fats include avocado, unsweetened coconut products, grass-fed butter or ghee (unless you have a dairy allergy), and nuts and seeds. Consider taking a glutamine supplement, especially in the late afternoon when cravings might hit. Glutamine is an amino acid found in protein. We cannot naturally produce it, so we must get it from our food. Due to our food supply and the standard American diet, many of us are deficient in neurotransmitters and nutrients such as glutamine. Supplementing with glutamine can help combat hypoglycemia and regulate blood sugar. Replace desserts with fresh fruits. If your default habit is to reach for sweets after your meal, try weaning yourself off of desserts by replacing them with fresh fruit. Fruit has natural sugars, but it also contains nutrients and fiber to help slow the absorption into your bloodstream. 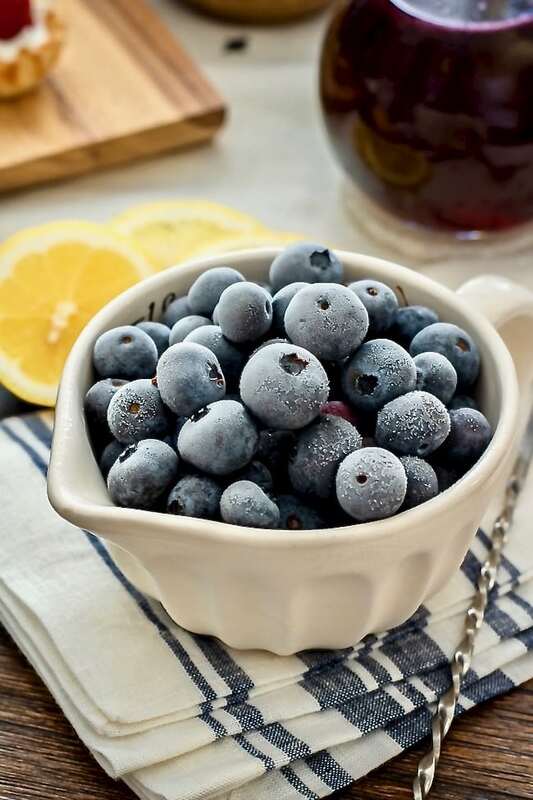 Fruit can be a healthy alternative to dessert, especially antioxidant-rich, low-sugar fruit like berries. If you’re truly detoxing from sugar and want to avoid even natural sugars during your detox, then you might want to avoid fruit for a limited time. Most people should consume at least 1-2 servings of fresh fruit a day as part of a balanced diet. Make sure you’re eating enough protein at breakfast. It’s true that what you eat at breakfast influences you for the rest of the day. If you break your overnight fast with sugar and carbohydrates instead of protein or fat, you will set yourself up for a blood sugar roller coaster and cravings for the rest of the day. Aim for 30 grams of protein at breakfast to keep yourself satiated and stable. Choose complex carbs like sweet potato and butternut squash. There’s no need to completely lower or cut out carbohydrates. It is the refined, simple carbohydrates like pasta, bread, and sugar can spike and crash your blood sugar. Starchy vegetables like sweet potato and winter squashes provide you with a nutrient-dense source of carbohydrates. Sprinkling a baked sweet potato with cinnamon tastes like a treat, but provides you with stable blood sugar from the complex carbs and the cinnamon. Have an abundance of healthy snacks ready. If you stay prepared with healthy, low-sugar snacks, you won’t need to reach for the packaged goods and sugary treats. Having healthy snacks on hand also helps you if you notice low blood sugar creeping up. Stress can cause you to crave hyperpalatable foods such as sugary snacks. Stress also depletes your body of important nutrients like magnesium and B-vitamins, which can drive sugar cravings. Sleep deprivation can lead to cravings for calorically dense foods, which most often include those high in sugar. Moreover, a single night of poor or insufficient sleep can reduce insulin sensitivity the next day, making your blood sugar less stable and you more prone to crave sugar and carbohydrates to keep your blood sugar up. If you’re trying to detox from sugar, this is not the best time to introduce intermittent fasting. Your body will be going through a slight period of stress as you retrain it to stop craving sugar, and intermittent fasting can also be a stressor on the body. In addition, unless you’re fasting purposefully and safely, skipping meals will drop your blood sugar and make you crave sugar and carbohydrates to bring it up again. Ideally, you would do some meal prepping during your sugar detox to help keep your meals consistent and balanced. Don’t miss my article with 10 meal prep ideas. How do you flush sugar out of your body? Since sugar is not stored as sugar in your body for long, there’s no need to flush it out. Sugar will either be used by your body’s cells, or stored as fat in the body. Toxins of all kinds are stored in fat cells, so weight loss will naturally reduce your toxin load. You can detox and eliminate stored toxins in your body through supporting your body’s natural detoxification pathways. What can you eat on a sugar detox? When on a sugar detox, you shouldn’t feel restricted! 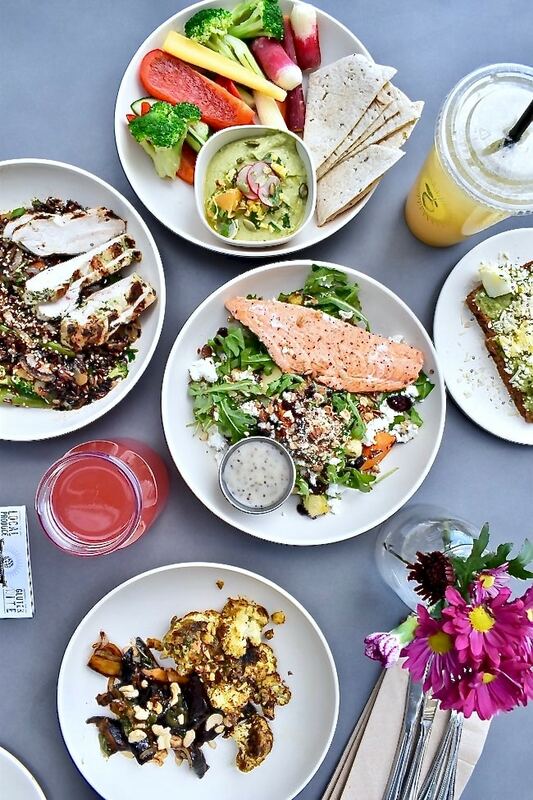 Stick to a whole foods, clean eating diet high in satiating fat and protein and incorporate detoxifying foods. Focus on high quality meats, anti-inflammatory fats like avocado and coconut oil, and plenty of veggies. See my article all about how to eat clean. Aim to fill half your plate with non-starchy vegetables such as leafy greens. Vegetables and leafy greens are amazing for detoxification and provide your body with essential vitamins and minerals that were depleted by sugar consumption. 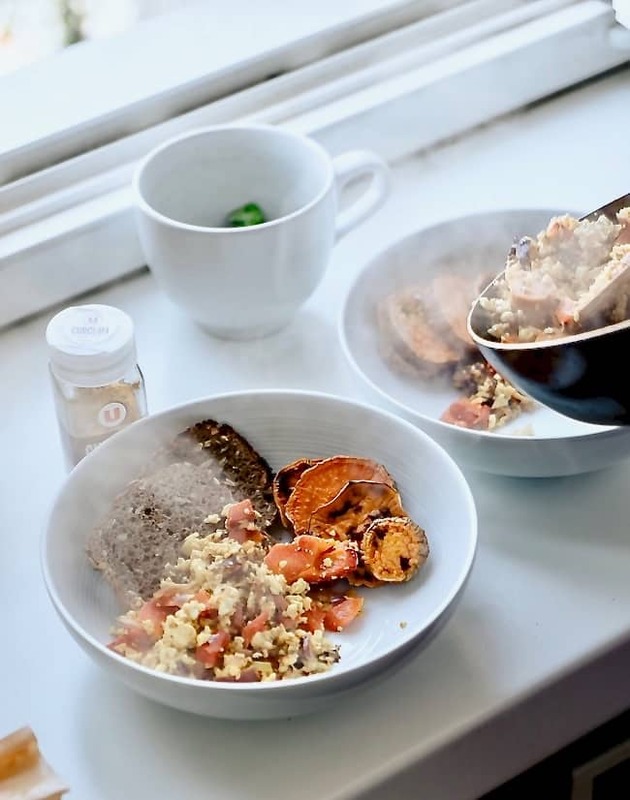 Roasting vegetables in coconut oil and cinnamon naturally brings out a sweeter taste and stabilizes blood sugar. Can you still eat carbohydrates on a sugar detox? Yes! But be mindful of your intake and the source. Avoid simple carbs like bread, pasta, sweet treats, and processed snacks. 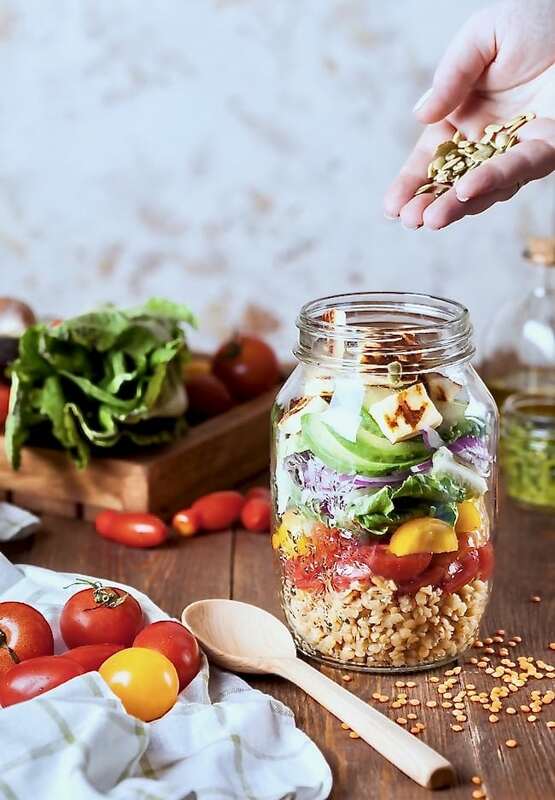 Instead, eat a moderate serving of starchy vegetables, legumes, or whole grains and pair with fat and protein to keep blood sugar levels stable. Avoid alcohol, which introduces additional toxins as well as sugar to your system. Can I eat sugar after a detox? Yes, but it’s wise to stick with unrefined sugars or natural sugars from whole foods like fruit. Do I have to go keto to do a sugar detox? Absolutely not. 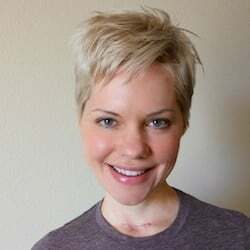 In fact, keto is an extreme diet that is only appropriate for certain conditions and can do more harm than good. Most people benefit from a more balanced diet that includes carbs, protein, and healthy fats. Will I lose weight on a sugar detox? Maybe, but that is not the primary goal. The goal of a sugar detox is to reduce your cravings for sugar and to move forward with less dependence on refined sugars. While a sugar detox sounds extreme, it can be an important way to cut out your intake of refined sugars and move toward a cleaner diet. It’s important that you do what works best for your lifestyle and body, but cutting back on sugar will likely benefit your health. 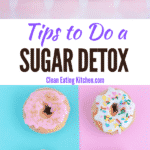 Be sure to pin this sugar detox article to Pinterest to save it for later! Great post. These 10 tips are super helpful to go on a sugar-free detox. Gonna focus more on eating clean this year! These tips are really helpful. I have reduced my sugar intake by quite a bit over the last few years. But everytime a holiday comes around it increases again. I feel myself becoming more dependent on it and have to start the process over again. These tips will really help! That happens to me too, Amanda! I have to keep an eye on how much sugar I let back in. What a great informative read about embarking on a sugar detox! So many helpful tips! I’ve been thinking about doing this for quite a while. Right now my husband and I are working to cut back on sugary drinks. One baby step at a time! Great, I’m so glad you enjoyed this article, Denay! Yes, cutting back on sugary drinks would be an excellent first step! It’s not easy, but swapping out for sparkling mineral water can be a great way to do it. Good luck!!! I desperately need to do a sugar detox because I have the biggest sweet tooth. Thanks for all these great suggestions! This is really sound advice. I’ve done a sugar detox on a few occasions. Last summer I did a sugar detox the entire month of July. I already eat extremely clean, but I still found it to be difficult! But these tips are all crucial if you really want to get something out of the detox! Thanks for sharing! Hopefully I can do this as soon as possible. Hard but rewarding in the end. Great tips! I have been off sugar and all wheat for over a year. Detoxing was hard for a week or so, but then I felt so much better off of all the white stuff! My heart burn went away completely and so did my migraines. Ohhh that is so encouraging, Karen! That is amazing that going off sugar helped you so much. I really need to do this, my downfall is soda so it’s going to be difficult and I am also scared of the side effects. Wow, these tips are great! This should help some people out there. I have Hypoglycemia and I’ve never heard of the Glutenine supplement. My doctor never even suggested it. Thank you for talking about it. I will look for in the stores next time I go shopping. These tips are really super helpful! My favorite time to do a sugar detox is when I’m travelling because I’m often too busy to really want to snack on sugary things. Thank you for sharing! These are such good tips! Managing stress and sleep can be so difficult for me! Thank you for posting this! I just recently wrote a blog about how sugar literally steals the sweetness out of life. I have been truly detoxing from it for almost a month now. It’s absolutely amazing how your mind and body change when sugar leaves your body. I took many things away from your post such as looking into taking some supplements which I’ve never thought about taking before. I appreciate all of your tips as they are keeping me motivated! Thanks again. These tips are amazing! I’ve been eating less sugar as part of an effort to lose a couple pounds and I can’t believe how much better I feel. Excited to try a detox! These tips are so helpful! Cutting sugar out can be so difficult! I have been wanting to do this for months. Thank you for sharing these great tips on how to do it. I know it will help me mentally and physically.